Explore South Charleston and beyond in style when you’re behind the wheel of the new 2018 Volkswagen Tiguan. The 2018 VW Tiguan is the ultimate Volkswagen SUV, and you can power down West Virginia’s highways and byways with ease. See how the new Tiguan compares against other SUVs like the 2018 Honda CR-V, 2018 Subaru Forester and 2018 Jeep Cherokee and you’ll find it leaves its competition in the dust. Then, you can head to our car dealerships in South Charleston, WV, and explore all that this new VW has to offer. The 2018 Volkswagen Tiguan SUV is powered by a 2.0-liter TSI® engine that delivers a stellar 184 horsepower and 221 pound-feet of torque. Neither the 2018 Forester nor the 2018 Cherokee can match the new Tiguan SUV’s impressive power. You’ll be able to cruise around city streets for longer, too, as the 2018 Tiguan earns up to 22 city mpg,* which is more than the 2018 Cherokee can deliver. And thanks to the 8-speed automatic transmission with Tiptronic® and Sport mode, you’ll enjoy improved throttle response and smooth rides time and again. 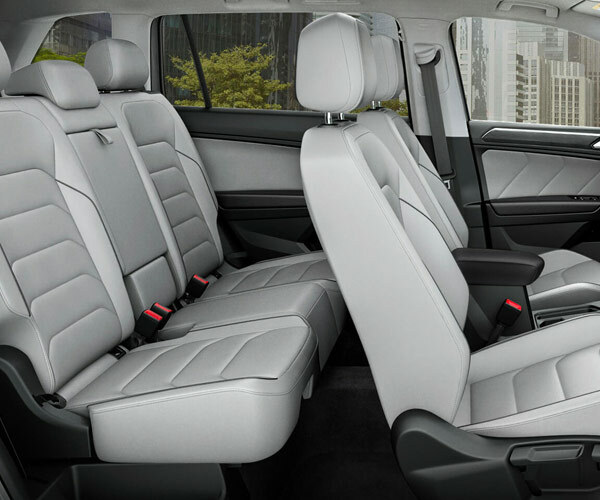 The 2018 Tiguan also offers peace of mind thanks to The People First Warranty. ** This transferable bumper-to-bumper limited warranty covers your vehicle for 72 months or 72,000 miles, whichever comes first. All of the vehicles listed below only offer a basic warranty that covers only 36 months or 36,000 miles. All signs point to the Tiguan being the right choice for West Virginia drivers. Continue to compare the 2018 VW Tiguan to its competition and see how it outshines all that stand in its way. Visit the Joe Holland Automotive Group to learn more about your Volkswagen financing options!